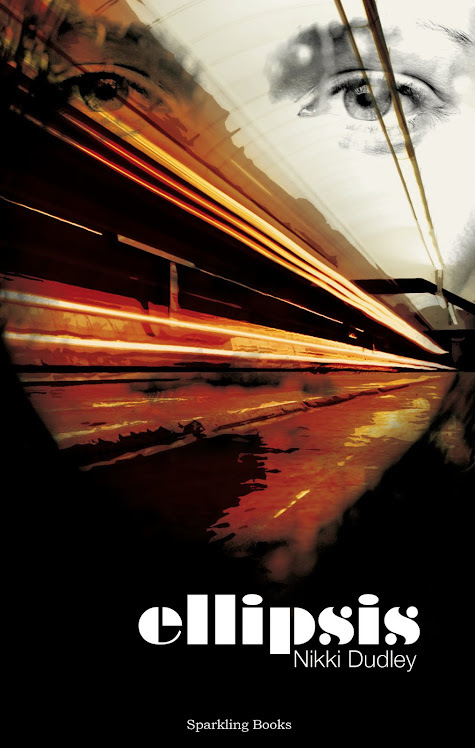 A great review of Ellipsis, written by Michael Lipkin (writer and editor of Noir Journal) was featured on the Spinetingler Mag website today. They also feature an interview with me! 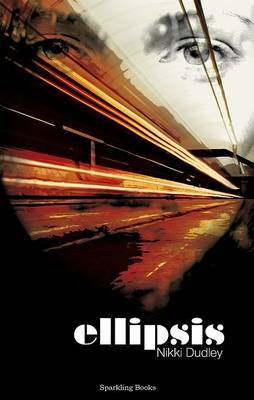 Ellipsis begins on a London train platform, as an unidentified narrator stares at a man near the track . . .
“I chose him because of the red scarf. “My palms sweat. Dirt from the wall is smudged across them and slithers in the folds. There is a faint smell of kebab in the air and an excited murmur moving down the platform like Chinese whispers. I wonder how distorted the message will be by the time it reaches my end. In these few lines, Dudley offers a striking symbolic image—the red scarf, artistically-crafted creepiness, and a hyperrealism that pulls the reader into the scene—suspended among precise details, suspended in time, fidgety about what might happen next. The narrator, the reader learns, has been stalking this man for weeks. Slowly, it becomes clear that he or she will push the man in front of the train. The slow hyperrealism continues, details and flowing metaphors keeping the reader on edge. Next follow 23 lines, each a short sentence, each separated by a space—a poem suspended in time. An eternity passes . . . .
Wind hisses at hot skin . . . . The train arrives. The man mouths the words “Right on time.” The demented narrator pushes . . .
Was the man speaking to the narrator? And that’s just the first chapter, five pages. Next the scene shifts to an insurance office, the narration to third person. Thom Mansen is an empty man, on the phone all day telling customers why their housing insurance doesn’t cover some mishap. The job provides what Thom needs—a script to guide him though life. Suddenly, Thom gets a phone call. His cousin Daniel is dead, hit by a train. Thom immediately feels guilty that he never really got to know Daniel. Yet he remembers that his cousin was mysterious, difficult to know. Daniel is not exactly Thom’s cousin, though. When Thom was twelve, his own parents were killed in a car accident. He was adopted by his Aunty Val, who had two sons: Daniel (Thom’s age to the day) and Richard (a few years older). So why does Thom still call her “Aunty Val” and refer to Daniel and Richard as “cousins” instead of “brothers”? 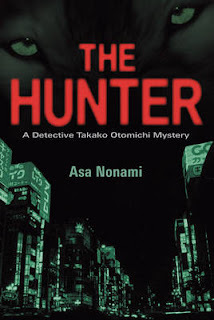 As the chapters and alternating narratives tightly interlock, readers learn that the stalker/pusher is an attractive young woman with dark curly hair, who was recently in a mental hospital after her own mother (“Mum”) had died. It becomes clear that this story of murder and mystery also has within it the parallel and ironic stories of two dysfunctional, crumbling families. The young woman (whose name is really Alice but uses the name Sarah) is haunted by the thought that she knew Daniel and that he wanted her to push him in front of the train. Yet her mind is clouded—she can’t remember. Obviously a delusion. Or is it? The story has two unlikely detectives searching for the truth of Daniel’s life and death—Thom and Sarah, the killer herself. Dudley’s plot ensnares the reader more deeply as Sarah attends Daniel’s funeral. Little by little she gets to know the family, soon even living with them on the pretense that she is behind on her own rent. And she innocently gets Thom to fall in love with her. Then Thom discovers a jolting clue—a brief note left by Daniel with the exact time and place of his death. Did Daniel know he would die in front of that train at that moment? Thom and Sarah separately begin to find more clues, all consciously left by Daniel. Ellipsis is not a story of action. It plays out through characters’ dramatic discoveries, thoughts, and conversations. Yet the slow-paced hyperrealism creates as much mystery and suspense as any fight scene or shoot-out. A character, about to explain a startling new development, may become conscious of her breathing or of the details of the peeling paint on a wall, leaving the reader’s heart stopped, wondering what will be revealed next. Wondering–because in this story, people, events, relationships are not what they seem. Startling discoveries and revelations dramatically shift readers’ thoughts and expectations. “You know why he jumped?” Thom asks sternly. Aunty Val blinks for several seconds, her lips taut and dry. It is so silent Thom can hear her swallowing; it is the loud and elongated sound of fluid squeezing through a tight pipe. Dudley is a poet as well as a novelist. She uses her skill as a poet to weave the tight fabric of this story—not just with hyperrealism, but with metaphors that come to life, powerful symbols, subtle foreshadowing, and parallel events and images. In fact, the book deserves a second read—to see more deeply into the foreshadowing, symbolism, parallelism—or whatever else—the reader may have missed in the first reading. There is a moment toward the end of the story when one character’s shocking revelations become a bit complex, slightly like part of a soap opera. But by this point, Dudley and the story have built enough credibility to absorb this moment; and the new knowledge smoothly blends into the story’s unexpected, enigmatic conclusion. Perhaps Dudley has forewarned the reader of the nature of the conclusion in an earlier description of Daniel. But readers need not be put off by the enigma of the book. It’s a tale that will keep them wondering, gasping, thinking, smiling, grimacing, rereading. What more can a reader ask for? As strange and surreal as ever, this novel follows a man's fascination with an old hotel and all of the weird personalities he meets along the way. 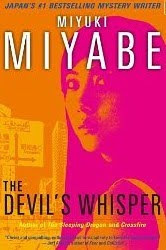 More menacing and tragic than some of his other novels (bar Norwegian Wood for the tragic aspect) - very enjoyable. 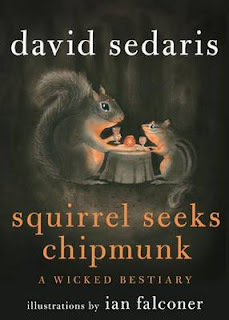 Some characters really funny, great wit throughout and a complex web of emotions that simmer quietly to the surface. 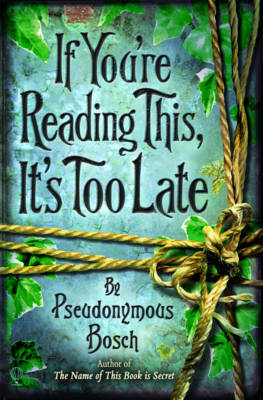 A YA book I read after reading the first in the series at work. It was fun but didn't seem as well crafted as the first novel (The Name of This Book is a Secret). The author pops into the narrative throughout which is an interesting element and something I think a lot of teenagers will enjoy. Hard to sum up all three books here. So much happens! Although some of the world that Ness chooses to set his novel sometimes isn't described particularly vividly, the trilogy is still a fantastic exciting set of reads! The characters are the main aspect to be enjoyed - I found Todd annoying at times but he grows up a lot throughout the trilogy and he has some complexities that are explored well. Viola was more of a favourite for me and I enjoyed watching their relationship attempt to survive in a time of war, betrayal, terrorism, death and struggle. The Mayor is a chilling and frustrating character and the development of him and some of the other characters is also well done. The representation of noise throughout the book is brilliant - often highlighted by varying fonts, bigger fonts and scribbles across the page! A great set of books and I hope he writes some more YA books. My rating: **** and a half for the trilogy! A Matter of Death and Life (Andrey Kurkov) - Reread for Book Group. This book is so short, it barely takes a few hours to read. I have read it a few times before but really enjoyed it once again! Kurkov's minimalist style is taken to the extreme here in terms of the character and the shortness of the novel! The premise is very darkly humorous - the narrator hiring a hit man to kill him to make him seem more interesting (at least in death!) Great stuff and much recommended. I read this book some time ago but it has really stuck with me. A recent divorcee lives an anonymous life in a quiet apartment block. One day however, he meets his parents, long since dead. They appear the age they were when he last saw them. Overcome with emotion and nostalgia, he can't help visiting them. He also starts a relationship with his mysterious downstairs neighbour. 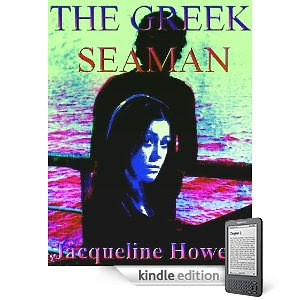 As his health deteriorates, he realises he must escape the supernatural world he has been mingling with. But all is not as it seems with his parents or his new love. A great eerie novel! There's been some recent controversy about this review and response on Twitter. The co-editor of my online mag, streetcake, sent this on to me. It made me laugh a lot! I'm really glad I didn't do anything like this when people reviewed Ellipsis. I might've been a little upset by a few comments made about my novel but it's best to just take them in your stride, not go on the blog/site and attack the reviewer that's for sure!!! All of it is lessons learned for the next novel, not something to cry yourself to sleep about. Do you read 50 books per year??? So Michael Gove has now told us that children should be reading 50 books per year. Hmm, thanks Michael. Although I think it is a good thing if anyone promotes more reading, I think this idea doesn't really take into account the varying interests of people. Perhaps a child won't read 50 books per year but is achieving high marks in science, or maths, geography, or on their apprenticeship course. And what if they read but the books they choose are not deemed the 'right' type of book i.e. : graphic novels, non-fiction, biography? Also, what if a person prefers to read comics, magazines, newspapers or online articles? Gove's suggestions of authors includes: JK Rowling, CS Lewis, Philip Pullman, Kenneth Grahame, Rosemary Sutcliff, Alan Garner and Ursula Le Guin. I have only read Rowling, Lewis and Pullman. I have however, read a lot of books in my life. And as a child/teenager, I probably wouldn't have been any cause for concern for Mr Gove. However, do I really read 50 books per year? 39. What a Carve Up! 45. A Short History of Tractors in Ukranian. ...That's all I can think of actually! So according to Michael Gove, I don't meet his targets! There may well be a few books I have completely forgotten but overall, this is quite a comprehensive list. I think it would be a struggle to read 50 books a year as I feel like I've read a lot as it is! 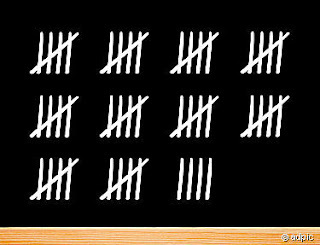 So, how many books have you read this year? I fancied some good old crime fiction so I turned to Mr Doyle. This novel was short and starts off with Holmes and Watson having some good banter at the start. Holmes is taking drugs and telling Watson that the only thing that can surpass his addiction is the excitement of a puzzling case. Enter: beautiful young woman with some pearls and a mysterious note... Watson is smitten almost immediately. This side-story didn't particularly interest me, especially as it didn't seem quite plausible. Either way, there is definitely an enigmatic case set up. The young woman's father was killed some years ago and for the last eighteen years or so, she has been receiving one pearl in the post per year. She believes these are connected. And now she has received a note to ask her to meet at a location that night with someone she doesn't know. What to do? Well, of course Holmes and Watson are drawn right in. After another murder, things take a drastic turn and pull Holmes and Watson even further into an intriguing case which has something to do with lost treasure, a mysterious sign left on the bodies of several people (the sign of four) and events from the past that won't rest. I did enjoy the usual banter between Holmes and Watson. Holmes is a mastermind as ever, donning disguises, outwitting the villains, observing the most minute details... However, I didn't find this as satisfying as some other Holmes novels. I think what brought it down was the long-winded confession by one of the villains at the end. Apart from that, it was intriguing and exciting throughout and definitely quite unconventional! I was given this at work to review for our childrens' website. It was an interesting tale - Harri, an eleven year old boy from Ghana is settling into his new life in the UK. He lives with his mother and slightly older sister. He is the second fastest runner in year 7, he draws the stripes on his 'Adidas' trainers, he is fascinated with the Dell Farm Crew and he is friends with Dean. When a boy is murdered on his estate, Harri and Dean start to investigate. They collect prints, observe people around their estate and search for the murder weapon. In a world where they don't trust the police, Harri's investigation starts to reach his sister, his friends, the notorious Dell Farm Crew who terrorise his estate and school, and even Harri himself. This is a gritty and funny book which deals with serious issues. Harri's voice is unique - abrupt, discriminate and innocent all at once. My only gripe is the paragraphs written from a pigeon's perspective which just didn't work for me, but overall, a great read and I would much recommend. I was recommended this book by the ever knowledgeable Amazon.co.uk (he he) based on my past reads. It actually sounded good so when I saw a free copy at work, I was pleased to take it home and get started. This book starts in a strange way. I wasn't sure whose perspective it was coming from for the entire first chapter. This turned out to be something that happened throughout the novel but because I got used to it, it was much more manageable. Not to ruin it too much, the story is of a young married couple (Wim and Maria) and their experiences of housing a Jew in hiding during the Second World War. I won't spoil the plot but it is an interesting snapshot (a 'snapshot' because it is also so short!). Wim and Maria are interesting main characters, despite Wim being a bit distant and Maria a bit domesticated (which may be realistic for the time but as a woman, slightly annoyed me). 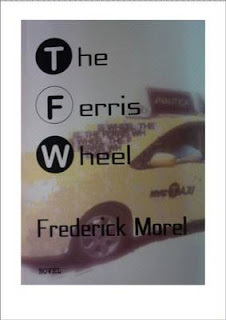 From early on, the novel presents a problem to the characters and readers, who must try to find the best way of dealing with it. There is not really any 'comedy', unless it is VERY black. There are many flashbacks, all adding to the tender and troubling relationship between the couple and the man they are hiding, Nico. What was strange was the amount of other people in the novel who were also hiding people. Although, it made me hopeful that this was true! A satisfying read. Not amazing and there are some flaws, but worth a read. A new perspective on WWII at the very least. It's something that I feel very strongly about and I think it is terrible for future generations that the arts are under threat like this. Obviously, as this blog points out, essential services (i.e. : hospitals, the police, benefits etc) need to be preserved but the impact of the arts can't be ignored. The arts may not be 'essential' in many respects but in others, it gives people hope and purpose in a way that nothing else can.